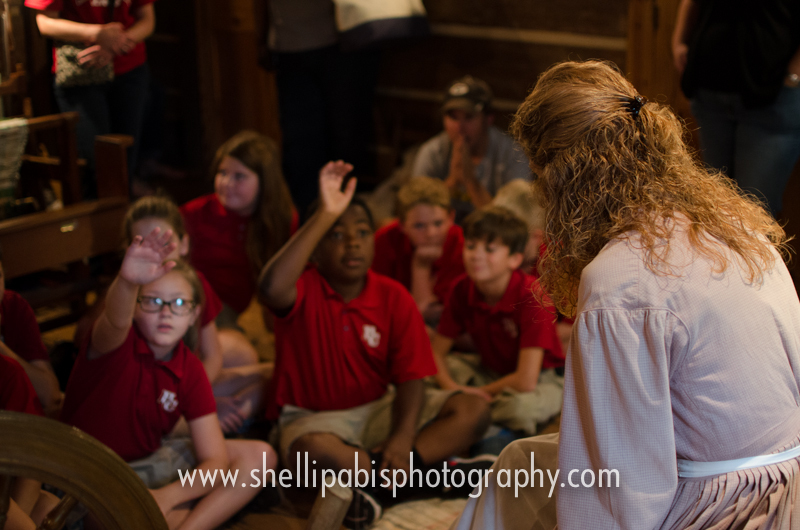 I already shared a few of these photos with you in my sneak peek to the field trip I photographed at the William Harris Homestead last week, but I wanted to share a few more and also tell you about this fantastic field trip available to schools or any group. It can also be adapted for adult groups too. 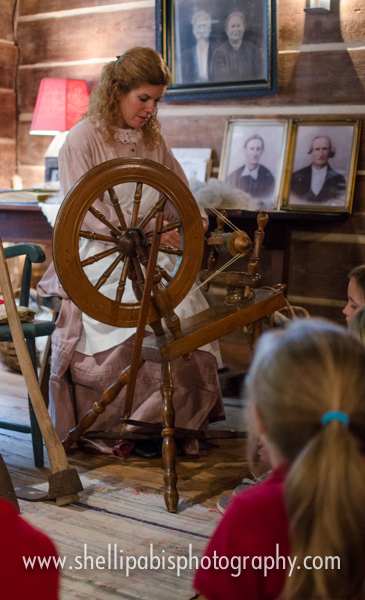 The field trip is titled A Day in the 19th Century, and it takes students back in time to learn how the Harris family lived off their land and raised 12 children in this small, cozy log house. Depending on how many students take the tour, they will be split up into three or four groups and rotate through four units that you can see below. 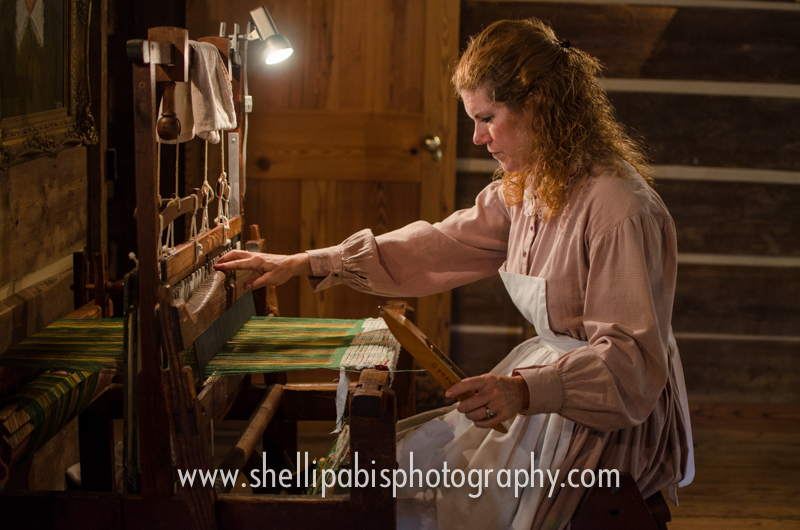 Inside the log house, Melissa Basta talks about the history of the homestead, William and Harriet Harris, their children, and how they made their clothes by spinning wool and cotton and weaving cloth on a loom. Outside, another group tours the cellar and herb garden where they learn how the Harris family stored their food and used herbs to help cure illnesses among other reasons. There is also a candle-making demonstration. 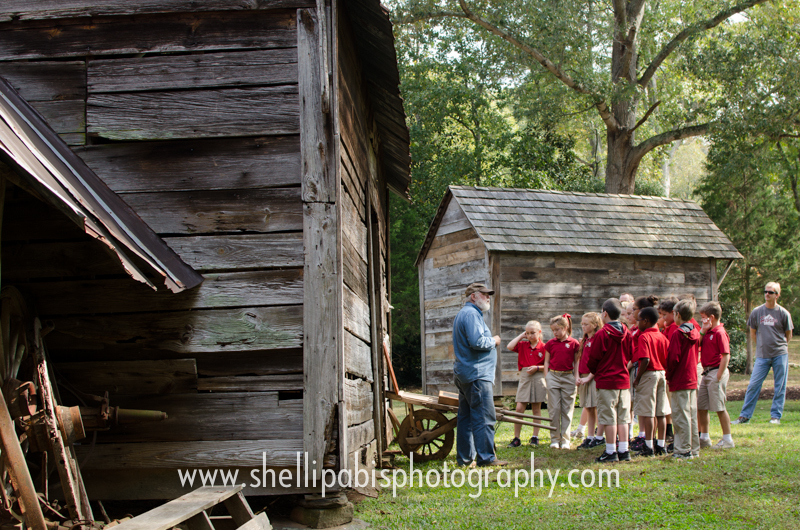 Another group gets to visit with Robbie Mitchell, a Civil War reenactor who explains what daily life was like for a Civil War soldier. The students also learn about the first residents in this area — the Creek Indians. 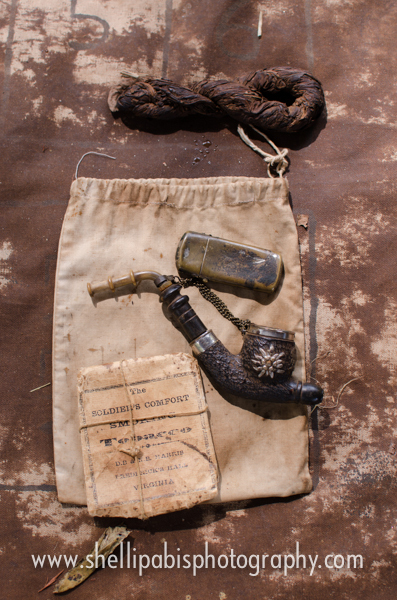 Artifacts and remnants of their presence such as arrowheads are still being found on the Homestead today. 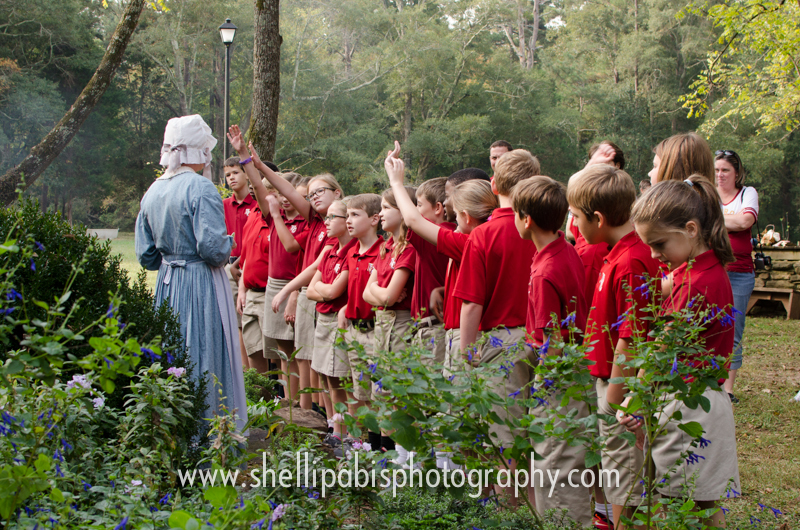 At the natural spring, students learn how often the Harris family would have taken a bath and how they cleaned their clothes. 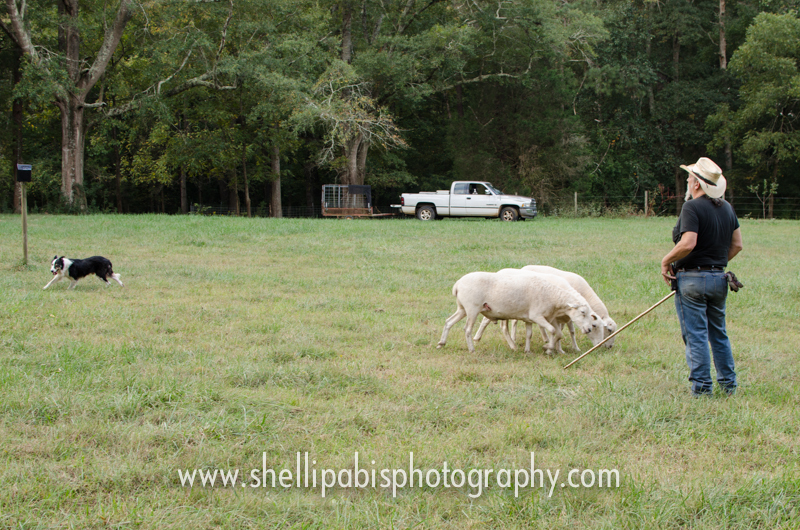 After this, the students get a hay ride along the Apalachee River! 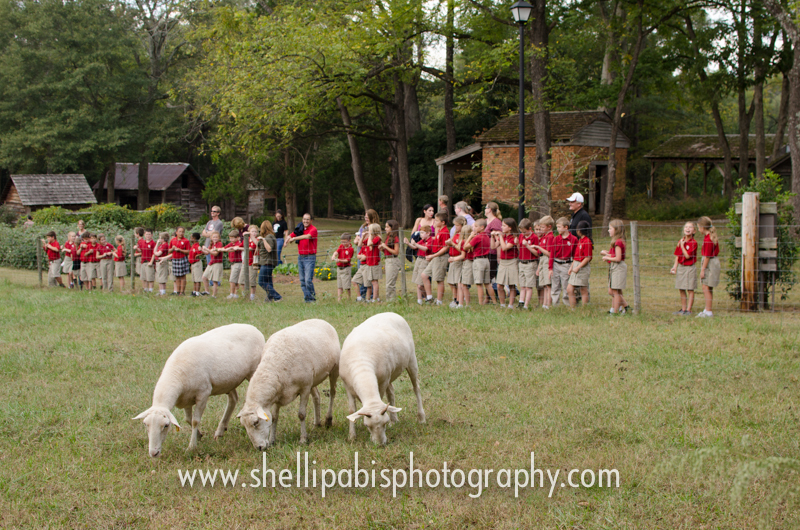 After these four units are complete, all the students meet up again for a sheep herding demonstration. And they end their field trip with a picnic lunch on the lawn. 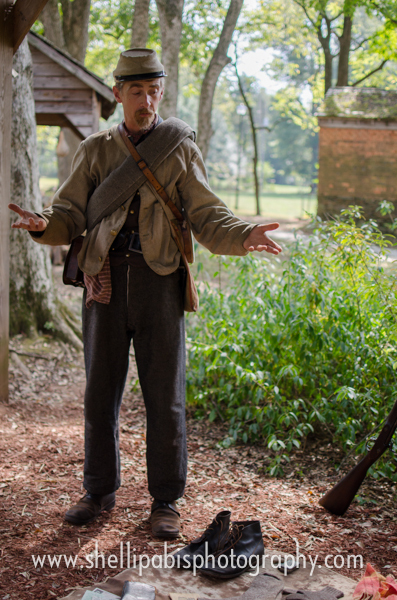 While they are eating, Robbie Mitchell talks to them a little more about the soldier’s weapon, and the day ends in a bang as he fires his musket into the air! 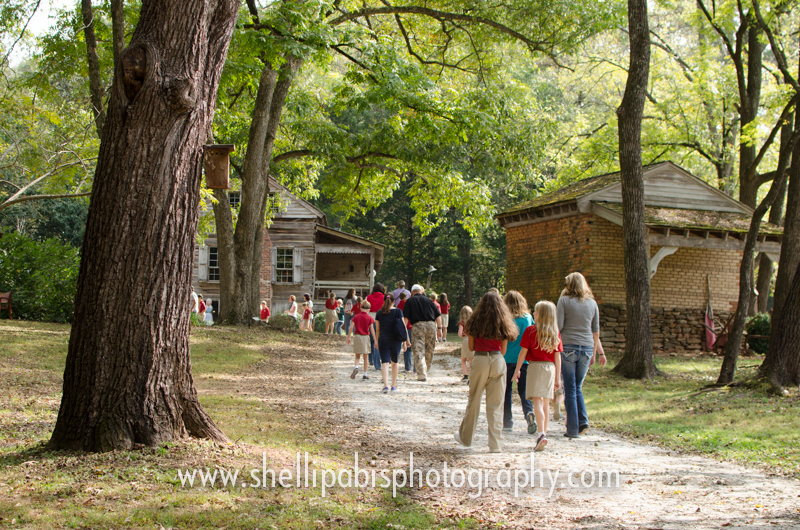 If you’d like to see the full gallery of photos from this field trip, it is now open for viewing. Click here. My thanks goes to the wonderful staff at the Homestead for allowing me to photograph them. 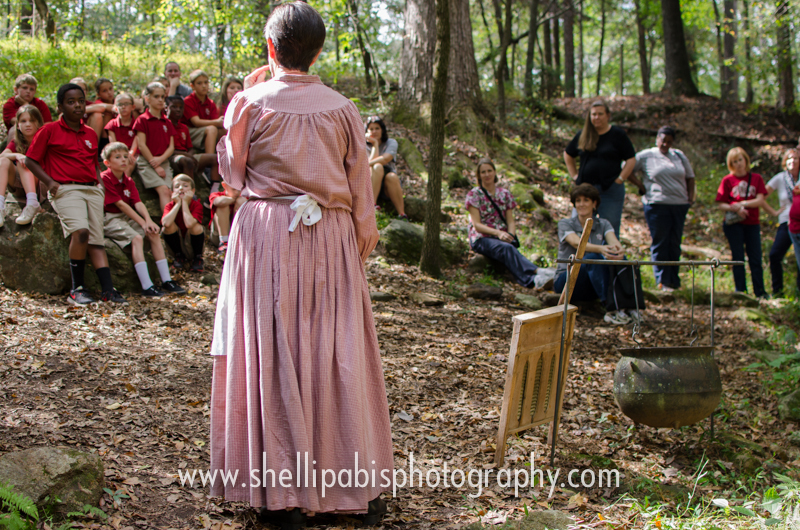 This is a great field trip for students all across Atlanta and surrounding areas. 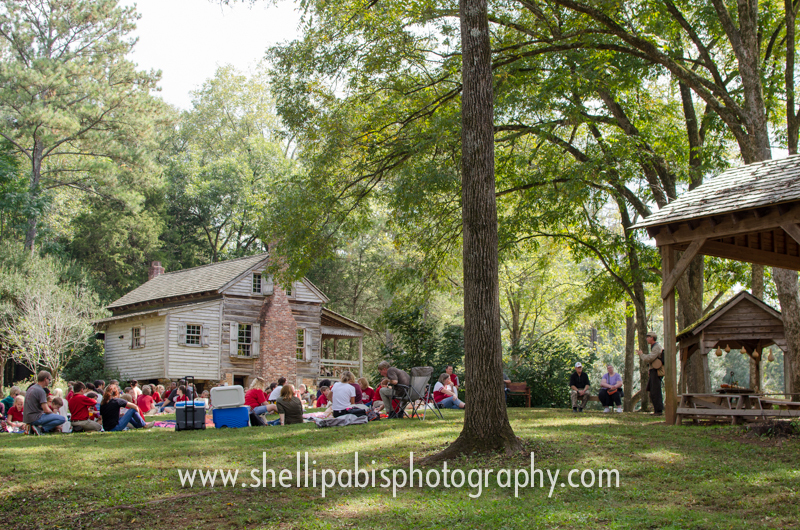 Click here to learn more about the Homestead and how you can visit or set up a tour.